This hotel is 100pct non-smoking. The Hampton Inn Martin hotel is within a mile of the University of TN at Martin. At the Hampton you will find exactly what you need. 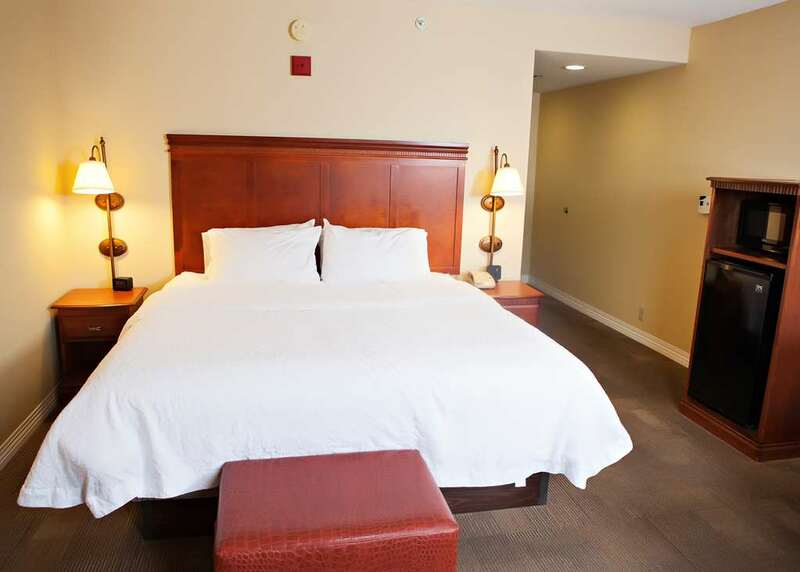 At the Hampton Inn Martin Tennessee hotel we feature 67 spacious rooms with one-room suites available. You can enjoy our complimentary On the House hot breakfast exercise facility or just relax by our indoor pool. We also offer a guest laundry located at the front lobby. All rooms at the Hampton Inn Martin Tennessee hotel. have complimentary wireless High Speed Internet Access 27** TVs with pay-per-view movies and Nintendo rentals. Also our rooms have coffee maker clock radio hair dryer iron and ironing boards. We love having you here at the Hampton Inn Martin Tennessee hotel.